DESCRIPTION OPEN HOUSE SUNDAY, APRIL 21, 2-4 PM. This top floor NW corner position in Renfrew House is (in the opinion of the writer) 1 of the 3 best “seats” on the hill. The truly dazzling downtown and river valley views, captured from every room, are second to none... Step out to the full-length wrap-around balcony to capture panoramic views of the Rockies. Mid-century modern Rideau Towers has a long and well established reputation for being a quiet and dignified home of privilege. Enjoy miles of ridge and river pathways plus your own 13 acres of trees and private landscaped green space and a swim in the outdoor pool. Vibrant 4th Street shops and restaurants, the Glencoe Club and a multitude of the City's most sought after amenities are part of the community. Largely in original condition, the suite invites your own personal renewal. Did we mention pet friendly? Home for sale at #709 3204 Rideau PL Sw Calgary, Alberts T2S 1Z2. 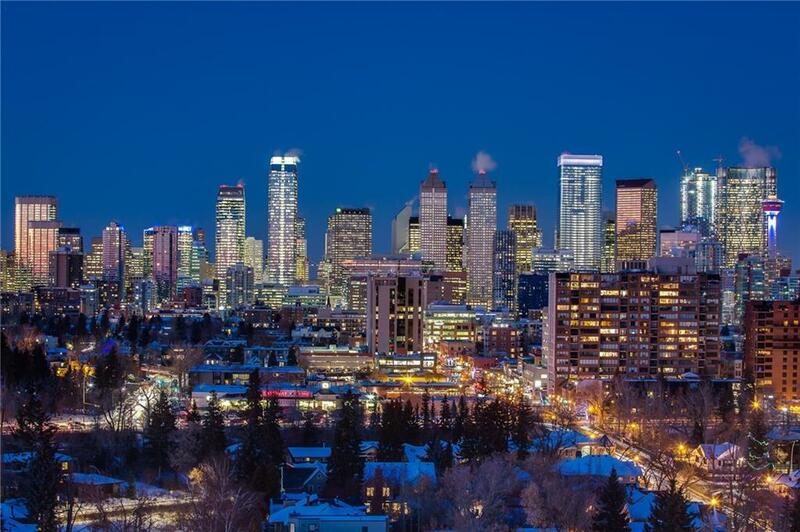 Description: The home at #709 3204 Rideau PL Sw Calgary, Alberta T2S 1Z2 with the MLS® Number C4204724 is currently listed at $425,000.